London, April 15: Alexis Sanchez could be in line for a surprise call-up for Manchester United's Champions League quarter-final second leg with Barcelona after travelling with the club to Spain. The 30-year-old Chilean forward, who scored 47 goals in 141 appearances for Barcelona from 2011-14, has been absent for six weeks due to a knee injury. However, United manager Ole Gunnar Solskjaer may turn to him after his side failed to muster a shot on target in the 1-0 defeat at Old Trafford in last week's first leg. 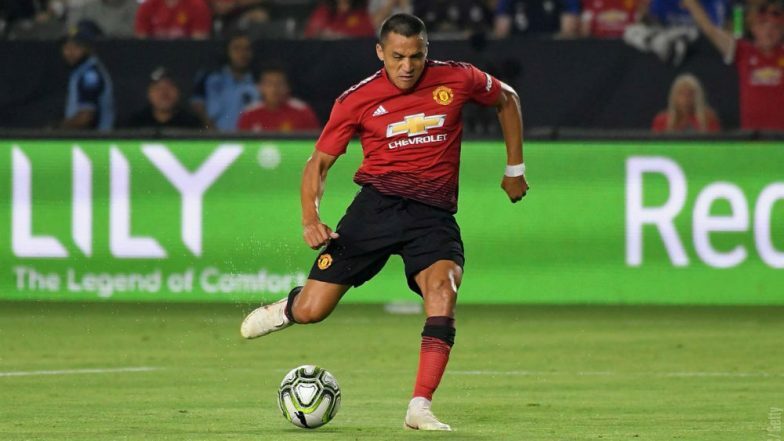 Sanchez, though, has rarely hit the sort of form he displayed for Arsenal prior to his move to Manchester in January 2018. A mixture of injury and poor form has seen him score just five goals in 41 appearances. Alexis Sanchez Leaves Fans Puzzled on Instagram With Identical Framed Dog Pictures.